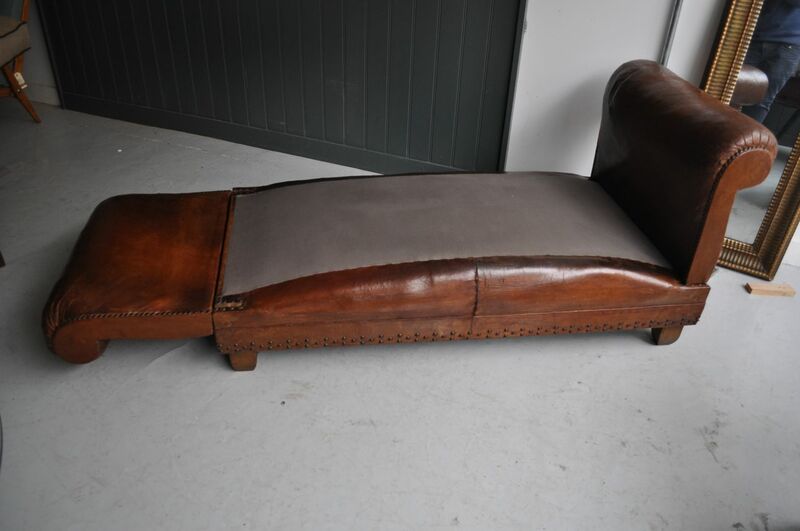 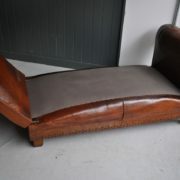 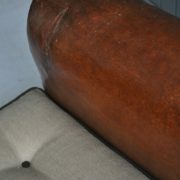 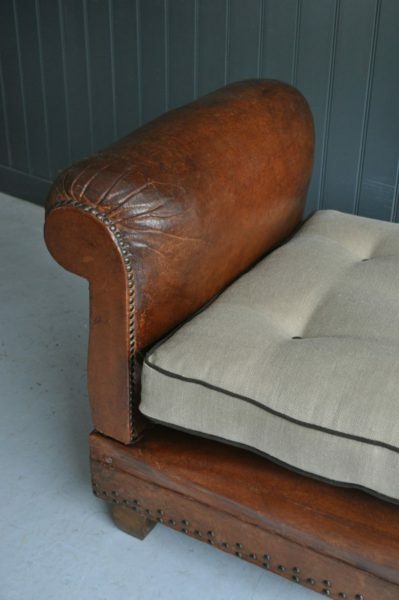 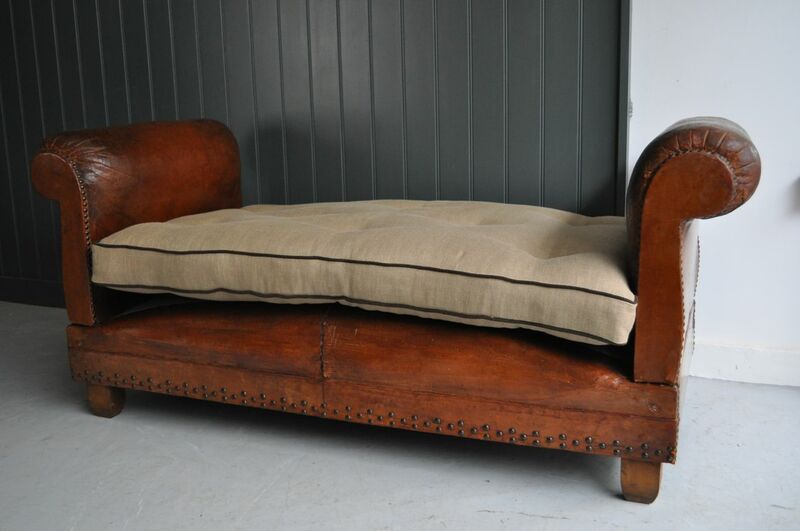 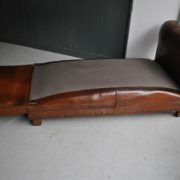 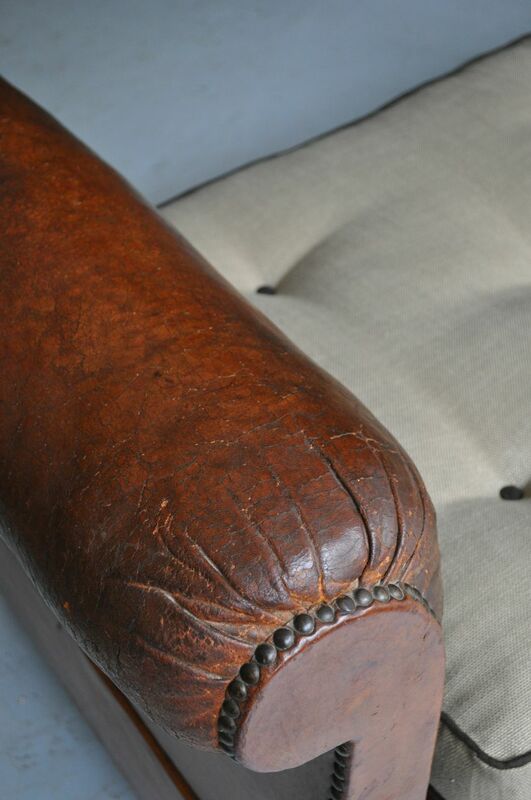 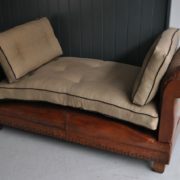 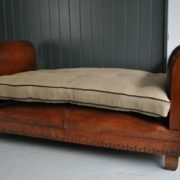 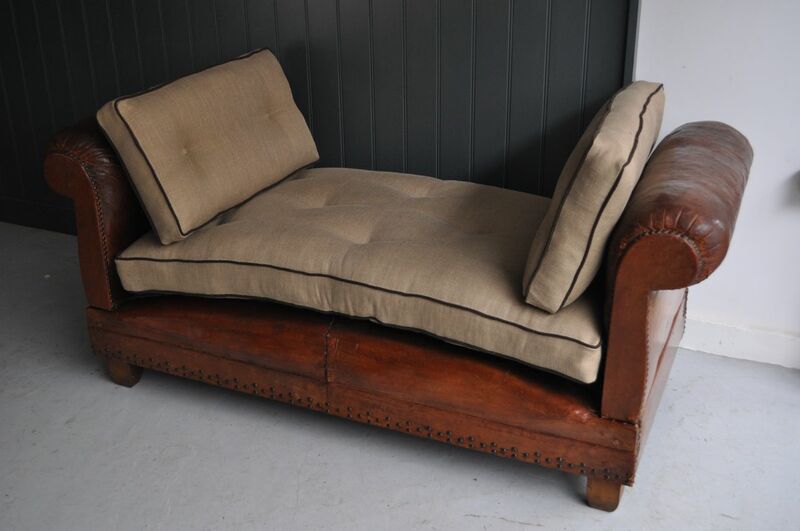 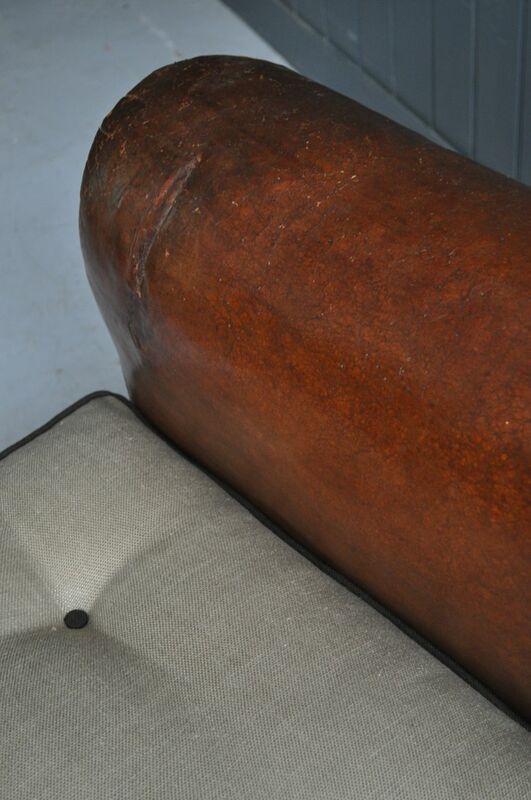 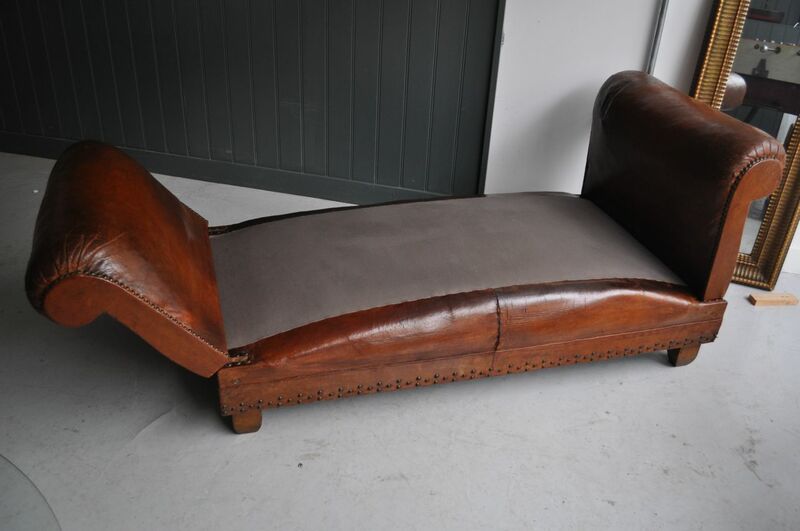 French leather daybed with rolled arms that can be lowered either to 45 degrees or fully flat. 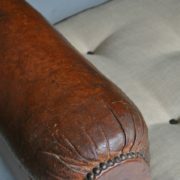 Nice studding to perimeters, and good colour and patination to the leather in keeping with age. 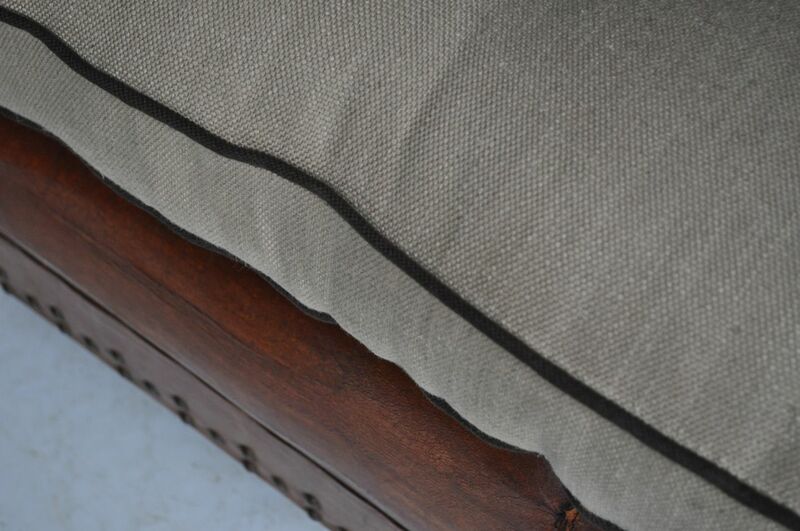 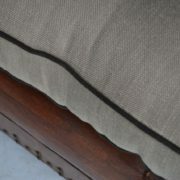 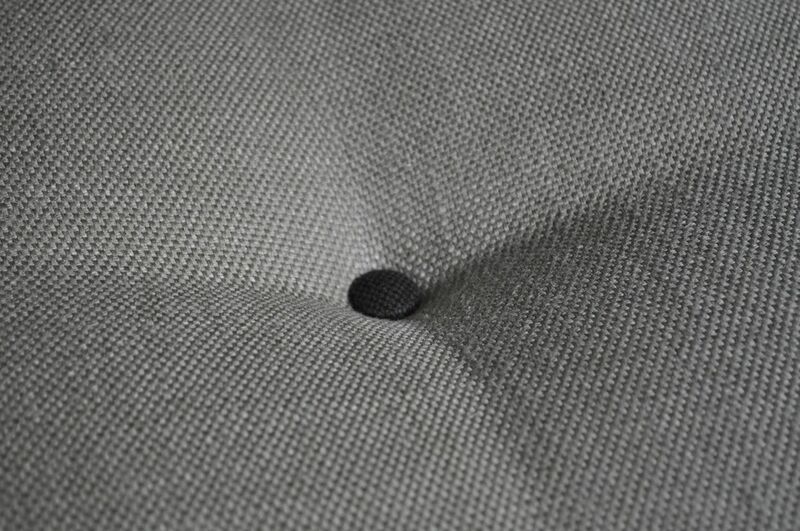 A newly covered buttoned mattress and two side cushions in a linen with contrasting piping, and a newly covered top and bottom to the base also. 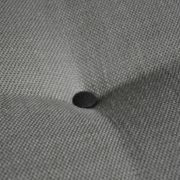 Seat height is approximately 43cm.